Okay, this is not an official book review per se as I really do need to defer to other reviewers to provide commentaries about my book. That said I have been very fortunate to have a few others post about Ciociaria, including Aline Smithson (Lenscratch), Andrew Phelps (Buffet) and Harvey Benge (Photograhy+art+ideas), as well as various shout-outs by Pierre Bessard, Elizabeth Avedon and a host of others. Update: Very nice reviews by Karen Jenkins in photo-eye Magazine and Tomás de Teresa on Libros de Fotografia (Spanish), who also posted a video review of Ciociaria set to Spanish guitar on YouTube. Douglas Stockdale’s Ciociaria builds an “organized” flanerie that goes beyond the topography/street photography dichotomy; he erases the direct human aspect and the need of a nearly scientific witness at the same time, enhancing the concept of how every single human being can become acquainted with a place in varied unpredictable ways and times, as well as readapting the landscape to one’s visions and needs. Stockdale personalizes Ciociaria, a loosely defined rocky and hilly region with memories of ancient Latin yet without a known history, putting aside all stereotypes and re-launching a sort of “personal anonymity”, very typical to areas that developed due to the middle class explosion. Houses, banners, woods, monuments, cars and the outskirts of little towns, nothing is magnificent and luckily nothing is picturesque. The truly great difference lies here: Stockdale does not overdramatically criticize the Italian landscape per se, perceived as an embarrassing overlap of architectural abuse and ignorance, but then again his flanerie is nothing more than an actualization of the grand tour. His photographs hint of a street photographer’s reportage yet lacks an obvious narrative, providing many hints of a complex and multi-layered culture, creating an indirect portrait of Ciociaria, while leaving most questions tantalizingly unanswered. The photographs capture a paradox of strangeness mixed with familiarity, mystery mixed with beauty, within a context of color, space, and texture. This book is an investigation into complexities of ambiguity intertwined with feelings of belonging while yet still not fitting in. 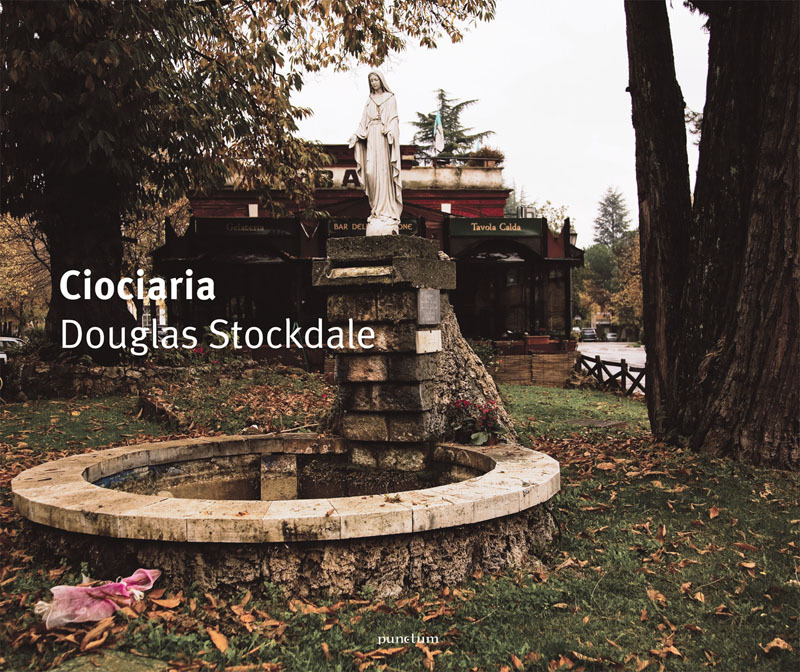 Stockdale crosses Ciociaria and looks for answers, adhering to that landscape and photographing it in such a way as to illustrate what it personally conveys to him. It is about being a stranger in a vaguely familiar land. As a photobook object it is a hardcover book with dust jacket and includes 50 color photographs with four-color lithographic printing, 96 pages without captions or page numbering. There is an essay by Marco Delogu and an afterword by me with both texts provided in Italian and English.